The venue was great and Stage 3 was perfect for the exhibitors and networking. When you walked in the room you got the 'WOW' factor which was just what we wanted. The staff were all very helpful, approachable and accommodating. 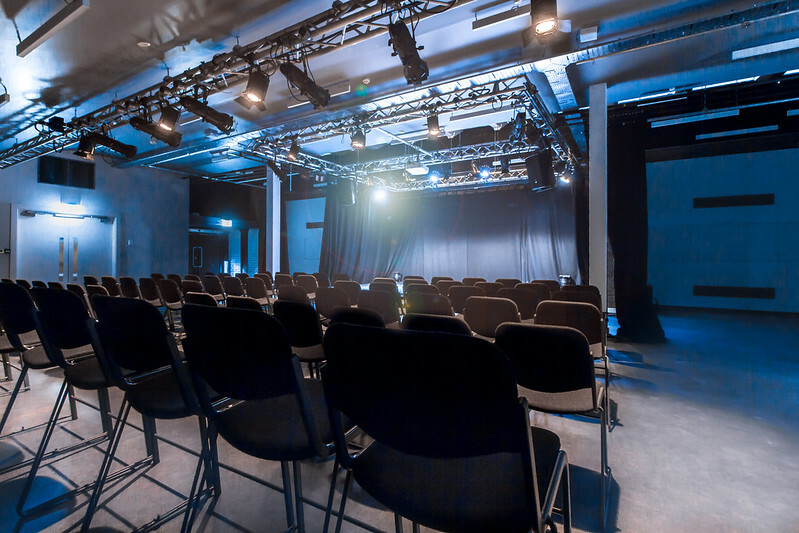 Newly renovated during summer 2016, Stage 3 at Northern Stage has now reopened as a space which can be hired for community productions, receptions and private parties. Stage 3 is also a perfect venue for small scale conferences, film screenings, seminars and workshops. With a seated capacity of up to 100, Stage 3 can accommodate up to a maximum of 140 for a standing or mixed seated / standing event. If your event requires it, the award-winning McKenna's can provide catering from a range of menus or tailor-make a package to your requirements. Full technical facilities associated with a producing theatre are available. A technical specification and ground plan are available on request. Hires available from 9.30am to 10.30pm. Hire Rate: £100+VAT per hour - (minimum hire 3 hours). From £500+VAT per day for theatre productions. To hire Stage 3 or for more information email us at [email protected] or call us on 0191 242 7204.